Grand Master Russell Correia began training in 1984 and currently holds the rank of Professor, 8th Degree in both Kajukenbo Emperado Method and Chinese Kenpo. Internationally recognized as sole named successor to Senior Grand Master Griffin's organization and legacy. Sole recipient of the Successorship Award from Griffin's Judo and Karate in 2009. Over thirty years of experience in martial arts through training and leadership under Senior Grand Master Kalaii Kano Griffin. Founded Red Tiger Kajukenbo Karate Studio in 2004: A licensed division of Griffin's Judo & Karate International. 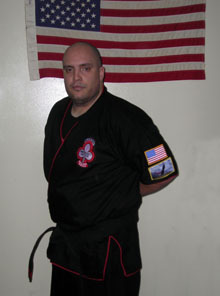 He is a certified Black Belt instructor in Chinese Kenpo from the International Kenpo and Kung Fu Association and in Kajukenbo from the Kajukenbo Self Defense Institute. Inducted into the Kenpo-Jujitsu Black Belt Hall of Fame as Outstanding Regional Assistant Instructor. 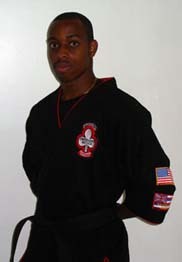 Inducted into Action Martial Arts Black Belt Hall of Fame in 2002. Continued Action Martial Arts Black Belt Hall of Fame achievement awards through 2011 for Outstanding Achievements in Promoting the Martial Arts, Continuance of Excellence Award for the Preservation of the Martial Arts, and Goodwill Ambassador to the Martial Arts. Inducted in the Universal Martial Arts Hall of Fame in 2003. Recipient of the Griffin's Judo & Karate Kwan Ming Wah Award for 2002 and 2004. 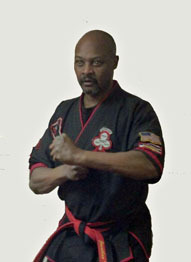 Sigung Williams has trained in Kenpo / Kajukenbo for 21 years under the direction of Senior Grand Master Kalaii Griffin. 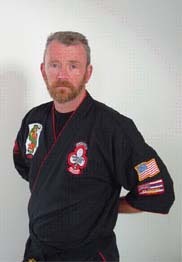 He earned his black belt in 1993 and began training his own students with the approval of Senior Grand Master Griffin. Opened his own Griffin’s Karate Studio in Indian Orchard, Massachusetts and has successfully operated his studio for the past eighteen (18) years. Has competed in numerous tournaments throughout the country at many different levels and holds a championship record in both Kata , Kumite and Self Defense. Based on his experience and through the guidance of Senior Grand Master Griffin, Sigung Williams has brought many of his own students to a championship competition status. 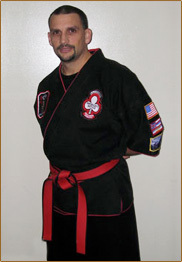 Sigung Williams has trained numerous students to level of Black Belt and beyond. Several of his students have served in the U.S. Military and one of his Black Belts is serving his country today in the U.S. Marine Corp fighting for our freedom in Iraq. Received many awards in the program, including the Instructor of the Year in 1995, 1997, 1999, 2000 and the Griffin Karate Branch of the year in 1999 and 2001. 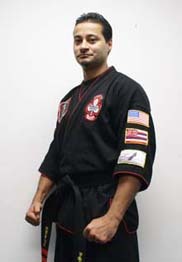 Inducted in the Action Martial Arts Magazine Black Belt Hall of Fame for Outstanding Achievement in 2003, 2004 and 2005. Serves as a member of the Board of Advisors for Griffin’s Judo & Karate / Kajukenbo International. Sigung Ronna Shea has 19 years of experience in the martial arts through training and leadership under Senior Grand Master Kalaii Griffin. Assigned as an International Representative of Griffin’s Judo & Karate in 2001. Inducted into Action Martial Arts Black Belt Hall of Fame as Outstanding Instructor, earned the rank of 3rd Dan and was a recipient of Griffin’s Judo & Karate’s Iron Dragon Award in 2002. Received Griffin’s Judo & Karate’s Kohana Award (2004). Since 1998 she has been assistant instructor at the New Leadership Charter School; Tai Chi instructor at the Ware Senior Center, Valley View, Warren Senior Center; West Brookfield Senior Center; and the owner/head instructor of Griffin’s Karate. 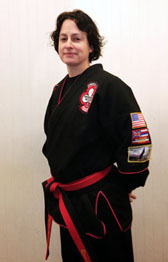 She is a certified Black Belt instructor in Chinese Kenpo and Kajukenbo. Sigung Shea now serves as a member of the Board of Advisors for Griffin’s Judo & Karate / Kajukenbo International. 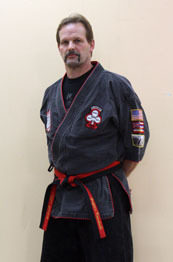 Since Jan., 1999 he has been head instructor of Bridgemill Kajukenbo in Canton, GA. In 2001 he earned the rank of ShoDan in Chinese Kenpo and Sibak in Kajukenbo - Emperado Method. He received the Spirit Award from the Action Martial Arts Black Belt Hall of Fame for Excellence in Training (2002), Excellence in Martial Arts (2003), and Goodwill Ambassador to the Martial Arts (2004-2009). He was appointed International Business Manager for Griffin's Judo & Karate International by Senior Grand Master Griffin in 2003. He began training in Yang Style Tai Chi, Ichuan, and Kung Fu in 2003. In 2004 he was recipient of the coveted Griffin's Judo & Karate Iron Dragon Award. He is a Software Sales Executive for IBM and a Managing Principal of KANDU LLC, a commercial development company. He is a graduate with Bachelor of Science in Engineering Management from Western New England College (1986). Sigung Newbury now serves as a member of the Board of Advisors for Griffin's Judo & Karate/Kajukenbo International.